fourpence for a bed for the night, she left saying she would earn the money. She was last seen alive on the corner of Osborn Street & Whitechaple Road by her friend Emily Holland at approx. 2:30am. A meat cart driver discovered Polly on the ground in front of a stable entrance at 3:40am, he wasn’t sure if she was dead or unconscious. 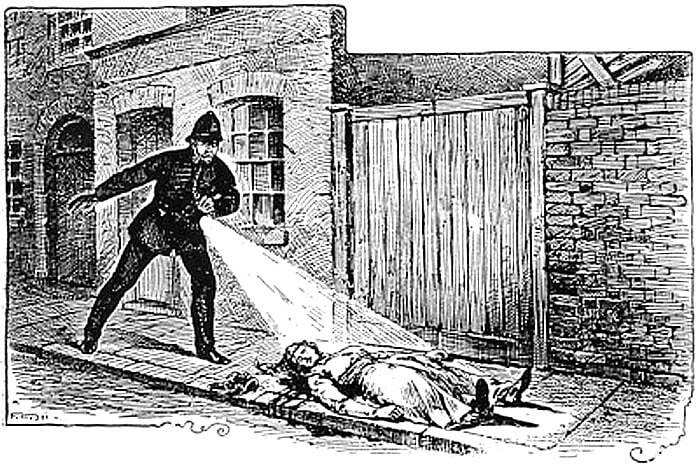 A policeman was alerted, & surgeon Henry Llewellyn was called to the scene & concluded Polly had been dead for 30 minutes. 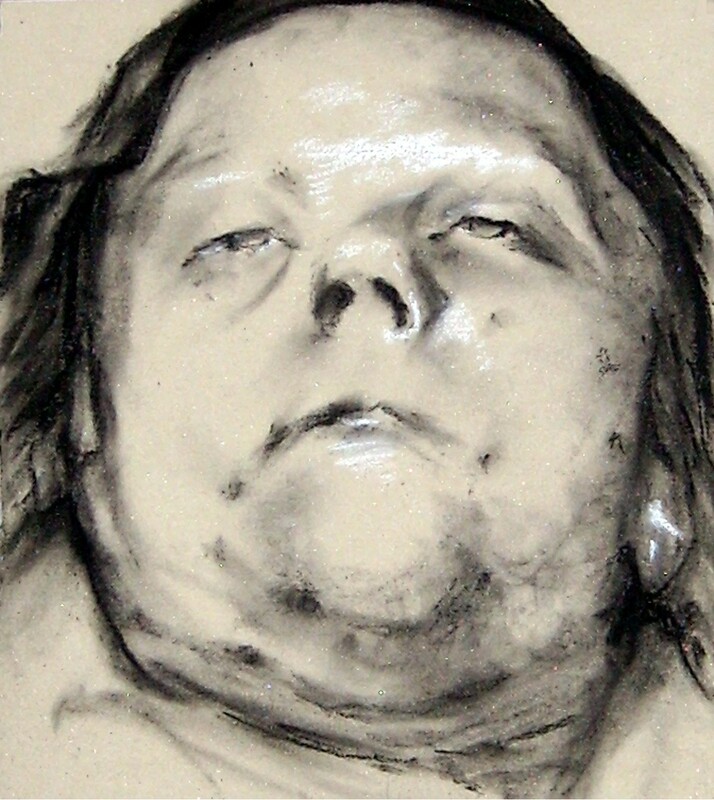 When the body was lifted a mass of congealed blood was under the body & blood had soaked into her hair & clothing. At the inquest it was discovered she had died of two cuts to her throat, so deep it reached the vertebrae, this would have killed her instantly. Also both sides of her face was bruised, her tongue was cut & five teeth missing & many deep violent cuts to her abdomen. The press linked Polly’s killing to two other murders in the area, Emma Elizabeth Smith & Martha Tabram, saying its a gang or a serial killing. Police denied this saying that a different murder weapon was used. It wasn’t unusual to have prostitutes murdered in the area, but it was the violence & the way the body was mutilated that made Polly’s murder unlike the others. Police didn’t know at the time that more murders were to follow over the next weeks, & Polly was the 1st official murder by a killer who would strike terror into London’s east end, the murderer later known as Jack the Ripper! 43 year old Mary Ann “polly” Nichols was buried in the City of London Cemetery in a public grave, in 1996 Polly’s grave was marked with a plaque. Previous Post27th August, 1914. Angels & St George hold back the German army. Next Post4th September, 1643. The Pig That Saved Gloucester.